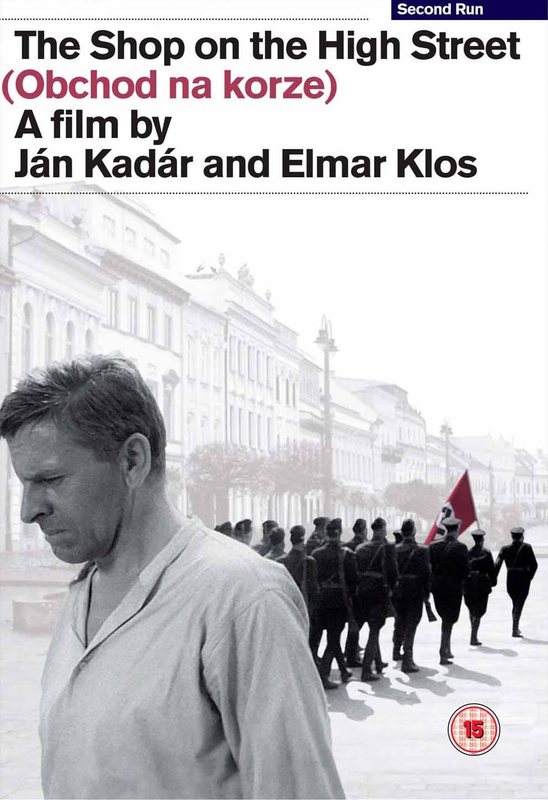 Made in 1965, this Czechoslovak film is set in the German-occupied, 'independent' Slovak state during World War II. Antonin Tono Brtko is a poor carpenter appointed by his Nazi brother-in-law to be 'Aryan controller' of an old Jewish widow's sewing shop in an occupied Slovakian town in 1942. The widow, Rozalie (Yiddish theatre legend Idá Kaminská, nominated here for a Best Actress Oscar for her performance) is hearing-impaired, isolated and partially sighted. Barely even registering there is a war going on, she fails to fully realise the the context in which she lives. Believing Tono is simply her new assistant, the two develop a tentative friendship that sees him attempt to protect her from the encroaching Nazi horror. Winner of the 1965 Best Foreign Film Oscar.